We have a new Logo and brand new Running Singlet’s and T-Shirts for Men, Ladies and Children available for Pre-Order Now. This Pre-Order is available from NOW until Sunday 17June 2018. No payment is required until you receive your order, in approx. 4 weeks time. You must get your order in now otherwise you might miss out. 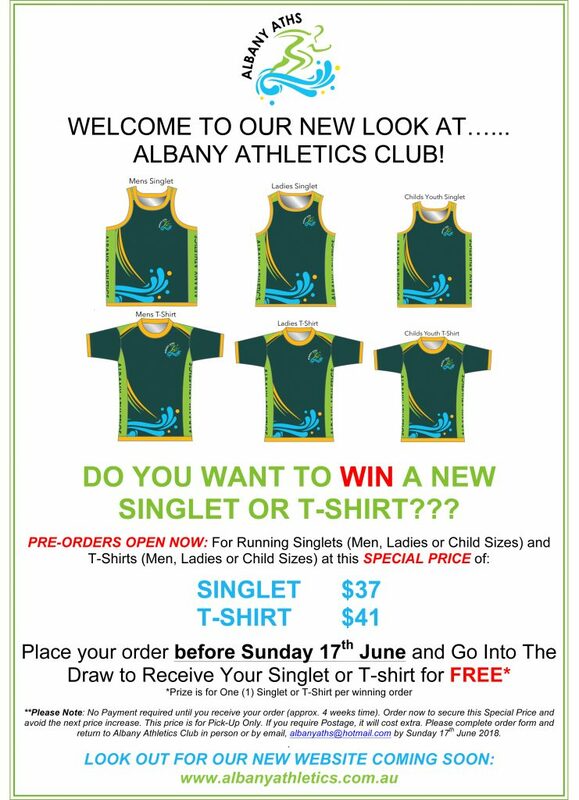 Please completed the ORDER FORM and return in person to Albany Athletics Club or by email to albanyaths@hotmail.com.